In north Georgia, close to natural mineral springs, waterfalls, and a spectacular lake is Blue Ridge. Once a popular health resort, visitors once flocked to "take the waters" at the springs, ride the train, and enjoy the downtown shops. Today, you can stroll the quaint downtown streets browsing through the shops, and even take an old train from Blue Ridge to McCaysville along the Toccoa River. Of course, Blue Ridge offers a variety of local restaurants as well as tasting rooms for the area wineries and breweries. Yet, it is outdoor activities that really define the destination. From hiking to fly fishing to water sports, Blue Ridge can accommodate your outdoor fascination. Although there are several campgrounds around Blue Ridge, we liked Morganton Point in the Morganton Point Recreation Area. The sites are gravel with water and electrical hook-ups, a fire ring and picnic table. The size of most are pretty good, and some front the lake. We arrived late and the lake-front sites were already taken, so we chose a site on a slight rise and had a fine view of the lake over the sites in front of us. It was a short walk to put-in the kayak, but it would have been even more convenient if our site was on the lakefront. Lesson learned: arrive early! The Fannin County Chamber of Commerce was our first stop for information and we found a host of self-guided tours and maps to help plan our trip. There seemed to be a tour for any interest, but here are a few we really enjoyed! If you love the sight and sound of water tumbling over a cliff, there are no less than 16 different waterfalls within a short drive of downtown. We enjoyed Amicalola Falls, a 700-foot drop in the middle of Amicalola State Park. You can view the falls from the top, or approach it from the base and walk up a trail, crossing a wooden bridge in front of the falls about half-way up. Beautiful at any time of year, it is breathtaking in the autumn! Expect a steep drive to the top viewing platform with amazing views of the valley below. The trail is a continual incline from bottom to top so it will challenge those who are not in good physical condition. One of the best features of this area is the variety of hiking trails in close proximity to Blue Ridge. You can find access points for the Benton MacKaye Trail, the Cohutta Wilderness Trail, and the Appalachian Trail. Of course, there are easier trails to hike, including the one to Long Creek Falls or Swinging Bridge. 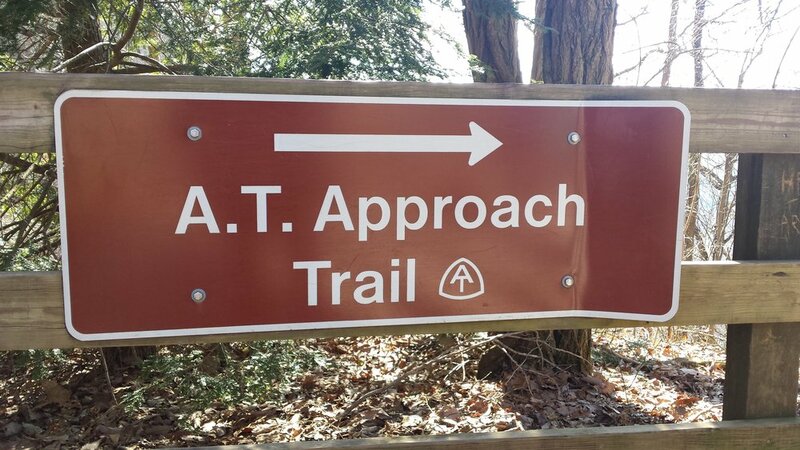 If you are up to it, there is an 8.5-mile approach trail to the "AT" by way of Amicalola Falls State Park. - Could be the adventure of a lifetime! Fannin County is known for its trout fishing and you can find a guide in Blue Ridge to help navigate the multiple rivers, streams, and creeks. The county boasts over 100 miles of fishing waterways. We are not fishermen, but after watching the 'ballet' of fly-fishing I might be persuaded to give it a try. Of course, cedar-plank baked trout is a good reason to practice! There are more than a dozen historic buildings in downtown Blue Ridge and the Visitor Center offers a map for a self-guided tour. Our favorite was strolling down Depot Street to see the historic train depot. Though it is not original, it is over 100 years old! You can also catch the scenic train to McCaysville from the depot. Continuing through the heart of downtown you will come to City Park where you will find two memorials. One is for World War I Veterans, dedicated in 1937. The other is a memorial to William Clayton Fain, a Fannin County lawyer who served as state representative. A leading Unionist in the state, he refused to sign the Ordinance of Secession during the Civil War. He was killed by Confederates in 1864. Lake Blue Ridge is clear, clean and very blue! There are put-in points around the lake but we favored the Morganton Point Recreation Area. There are boat launches in the park including access points within the campground. On many sites, you can camp and drop your kayak from your campsite! Follow the coastline around to the marina for a quick lunch at the restaurant there. If whitewater is your fascination, the Toccoa River turns into the Ocoee at the Tennessee border and there are multiple rafting companies with guides and equipment to get you on the turbulent waters. A little less strenuous are the self-guided driving tours of the area. With 16 different routes to choose from, you can lose yourself in the mountain scenery. We liked the Cohutta-Chattahoochee Scenic By-Way through the Chattahoochee National Forest. It winds through farmland and forest, with views of the Cohutta Mountains. Or, jump on the Blue Ridge Scenic Railway for a trip along the Toccoa River from Blue Ridge to Historic McCaysville including an iron bridge built in 1926. McCaysville sits at the border of Georgia and Copperhill, Tennessee. So, you can stand on the "blue line" with one foot in Georgia and one in Tennessee! Quaint downtown Blue Ridge is a delightful stroll in and out of the unique shops and boutiques. If your gift list includes a fisherman, stop by Oyster Fine Bamboo Fly Rods. These are not ordinary fly-rods. The owner, Bill Oyster, is internationally known for his handcrafted bamboo rods with fittings engraved in minute detail. You can watch him at work through a window in the store lobby. A super-nice gift would be to reserve a spot in one of his classes on making bamboo fly rods - they fill up fast, so make your reservations in advance! For a favorite lady, stop by Canoe. The wearable art boutique, founded by local Lynn Kemp, offers handbags, jewelry, and accessories that are truly memorable. Hand-crafted designs from interesting materials set these bags apart from the norm. Another interesting shop is Pezrok. Owner Jim Korzep (you may notice the shop is his name spelled backward! ), offers an eclectic selection of jewelry, home decor and art items made with natural materials. From driftwood sculpture to crystal and mineral jewelry to fossils, you are sure to find something unique at Pezrok. When its time to eat, Blue Ridge has lots to offer. From typical fast food fare to surprisingly good fine dining. Stop to sample the local wine or have a flight at one of the local breweries. Of course, an afternoon snack at Harvest on Main is a good idea; Try the smoked salmon and trout spread or the house spiced olives. - Inflatable Kayak. Lake Blue Ridge is a must paddle. The water is so crystal clear and the mountains drop right into the water - lovely! - Camera and Go Pro (or cell phone camera) The lake and mountain scenery is stunning. If you have a steady hand, a video of your kayaking adventure could be terrific! - Hiking boots. The mountains are lovely and there are dozens of hiking trails to explore. Watch out for the Sasquatch! - Trekking Poles. If you are going hiking, these little "helpers" can keep you more stable on the trail. In downtown Blue Ridge we found a large public parking area along the railroad tracks just down the street from the train depot. There was no charge for parking when we visited, and there was a huge wall sign for the Big Foot Museum! (It is located on Highway 515). There is another smaller lot on Main Street with a five dollar charge. For RVs it may be wiser to vie for the depot parking since Main Street is narrow and cars park on the street. It is a very short walk from the public parking lot to Main Street. If you are driving a car, there is street parking along most streets. Nature is medicinal. It brushes out the cobwebs of your mind and refreshes your soul. Blue Ridge offers so many ways to enjoy the outdoors. From historical tours that engage your imagination to hiking the Appalacian Trail, let sounds other than your own voice fill your ears. Two days of Blue Ridge outdoor life will cancel out two weeks of work stress! Finish your days by the campfire and watch the stars rise. As you re-enter your work week, take a few moments to remember how you felt in the forest, on the lake, or near the campfire. That peace will act as a protective shield against the rush of the week. Then, schedule your next visit!